The rock is remarkably unstable on the western slopes and boulders can tumble down unexpectedly. Also known as Stumpeenadaff, from Ir. Stuimpín an Daimh [OSNB], 'little pinnacle of the ox'. Previously Stoompeenaduff in MV. 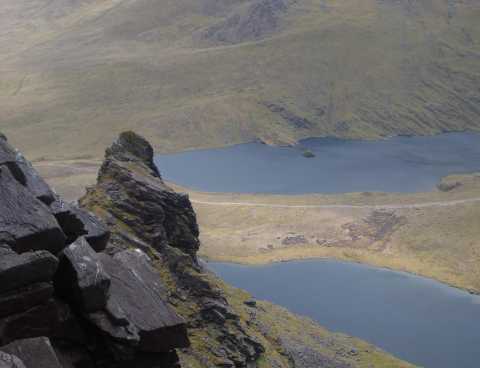 Hag's Tooth is the 197th highest place in Ireland.